Digital marketing has become one of the most commonly used phrase these days. Although it’s easily used in a sentence, but quite often it is not defined accurately. For some it’s a synonym for “Internet Marketing” while others describe it as marketing using electronic devices. So let’s understand what exactly is Digital Marketing? Digital Marketing is a term defined to achieve your business objectives and goals using the online channels that include but are not limited to search engines, social media platforms, content creation & advertising in order to educate, engage & market your product or service to potential buyers. Just a decade ago, if a business wanted to reach out to target customers they would promote using traditional marketing mediums such as TV, radio, print. Simply because that’s where the potential customers’ used to spend their time. However as humans evolved our technology advanced giving rise to a digital revolution. To simply state, people started spending more time on online platforms such as Google, Facebook, Instagram, YouTube etc to stay acquainted with news, entertainment and commerce. Hence, today our lives run on a click. But does that mean TV, print, radio don’t work any more? No, not at all! We cannot say that traditional marketing efforts do not have any impact. Rather, it goes hand in hand with digital marketing and the distribution has evened out. Digital has become a part of our existence. From shopping apparel to groceries, furniture & getting laundry delivered everything is online. With this new shift, marketers did not waste anytime and quickly adapted to use social media & other digital tools to push & pull the consumer which gave birth to Digital marketing. But how to achieve your business or individual objectives using Digital/Internet channels? It is imperative in the digital age to own a website. If you are a business owner and don’t have a website you lose on the market opportunity. The information on a website helps in communicating to the customer about the product & overall business credibility. Think about it, any customer will do a basic research before making a purchase, hence having a user friendly and informative site is the first step in showcasing your authenticity. Through digital marketing you can learn how to design a cost effective website, generate traffic, list your website on directories and search engines. A user uses the internet to look for various types of queries. Search result may vary as per the keywords used by the searcher. Search engines like Google have various ways and formats of showcasing results. 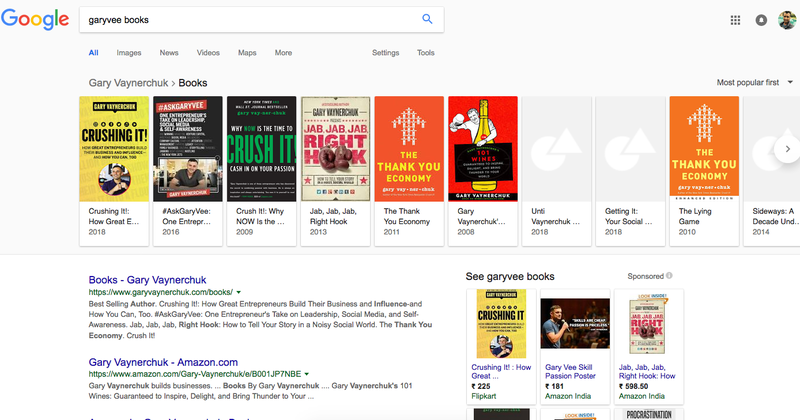 As business owners, it is our responsibility to utilize the tools provided by search engines and present content to get the best possible outcome. SEO is a system of generating traffic to your website through organic search. It is the result which appears when a website is optimized at the back end using the right keywords. This helps search engine to showcase the best possible result to a user. The most important factor to remember about SEO is that it is “organic” or “free”. 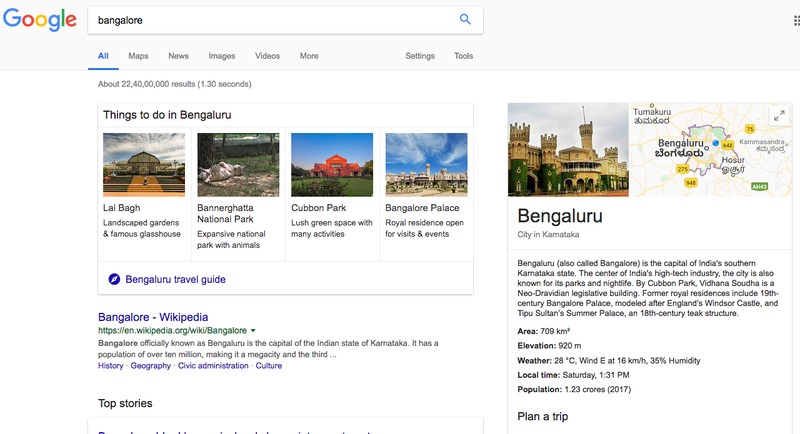 When a user runs a query on Google, the results brought up on the page are a mix of website, blog, video, image, news depending to the keyword used. 3. Universal SEO: Data is just not text. 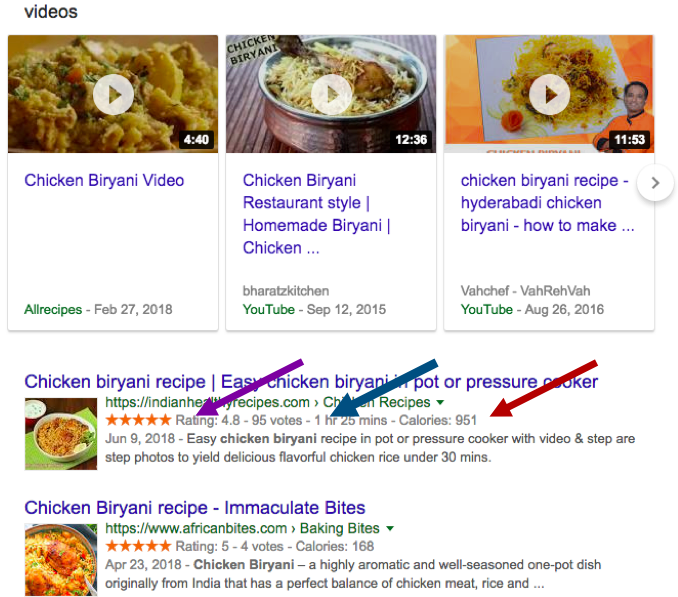 On SERP, we see information in the form of video, images, text & audio (VITA). Universal or blended SEO is a practice to optimise VITA to get maximum weightage and higher ranking. A few good practices are keyword rich content, quality title & description, crisp URL etc. 4. Local SEO/Google My Business: Local SEO is done to promote your business in a local area. If your business has multiple branches or even if it’s a small business/service it is essential to provide your address/location, phone number, timings etc. The idea is to make the user connect with your business easily and effectively. 5. Technical SEO: This is the most important type in SEO. In general the above practices are done to generate rich content that will rank on SERP. But in technical, SEO is advanced. This means the data on your website should be interpreted easily by search engine crawlers. The goal here is to upgrade the framework of your site to improve ranking on SERP. In 2018, search is not subjected to just web pages. We now also have more features like voice search & visual search that have simplified ways to look up information. Action — Do it now: Search your business using voice search, see what shows up. Earlier we mentioned about optimizing images. This is because search engines do not understand imagery. Hence renaming an image, adding description and alt text are pivotal. 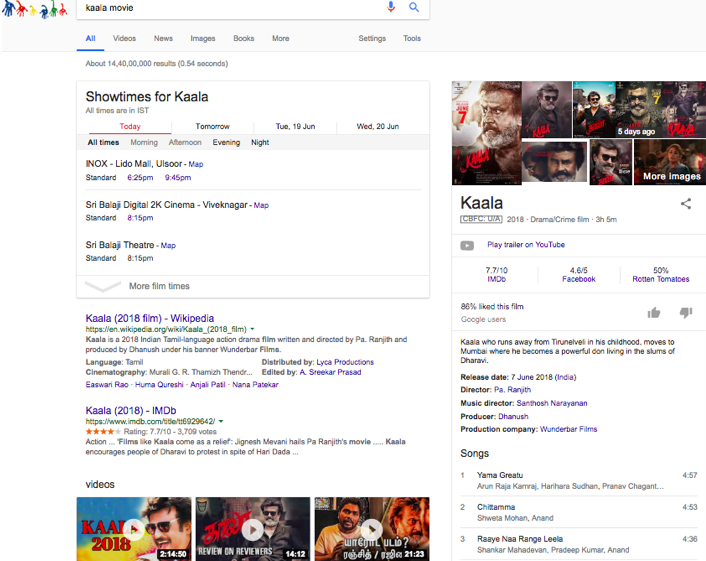 Search engine crawlers understand text-based information given in the images and presents it in a visual form to the searcher. Now you can search using images with Google lens, Google Pixel. Open your Google Assistant, point at a logo and see if your company details are showing up. Maps: Maps have become a big deal! 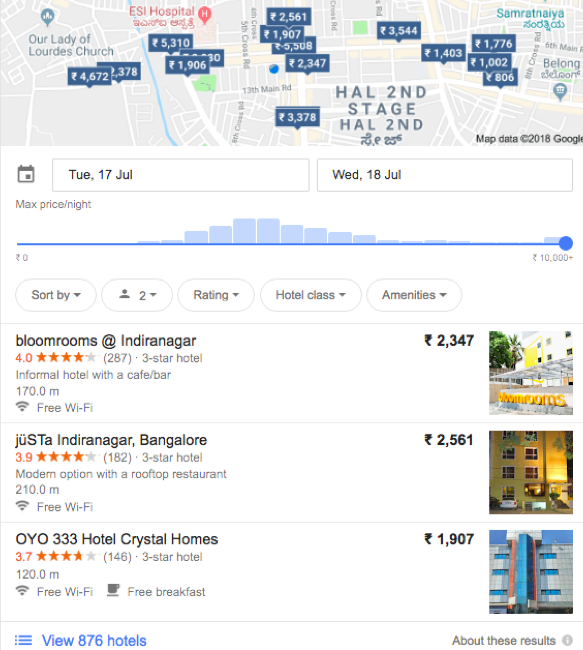 Listing your business on Google maps is essential as it cost effective and helps in drawing local traffic to your website. Searching directions, review, phone numbers, images etc have all become an integral part in everyday life as nobody today uses Yellow Pages. Google maps is one of the most dominant map service we have. Answer Box: “Ask and you shall receive!” Yes, that’s right. 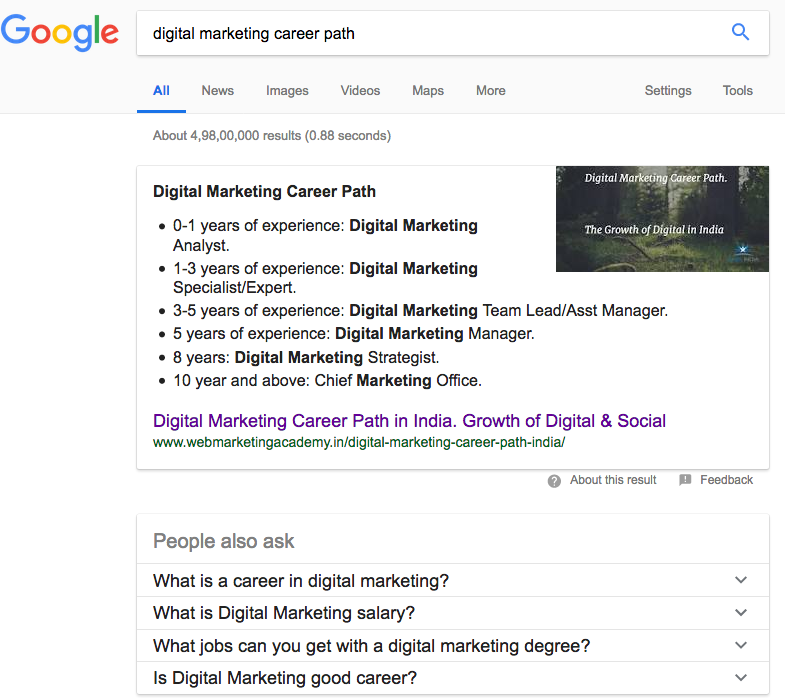 When you ask a question by entering appropriate keywords, the SERP displays the answer on the page itself. There is no need to click and visit a website. Whether you what know the weather or even get a calculator the answer box is right at your service to solve your queries! Carousel:Try searching for movies or books and the results appear in the format of a carousel. Local Business Listings: Local business listings is nothing but your business directory. Traditionally we could list our business on Yellow Pages. But remember the pain of searching to pages to find the right contact. We now no longer have use of Yellow Pages as the digital platform allows you to easily list your business with Just dial, Sulekha or Yelp. With just a click, the searcher can locate your address, number, e-mail ID. In the long run, this helps in your ranking and online reputation. Traditionally, as a business if you wanted to reach out to a wider audience you could place ads in newspapers, broadcast on TV/radio, use direct mailing or tele-marketing. All these options required huge budgets as they are expensive. It was difficult for startups or small business owners to use most of these mediums. But advertising in the digital age world has changed rapidly & has become cost efficient. 1. 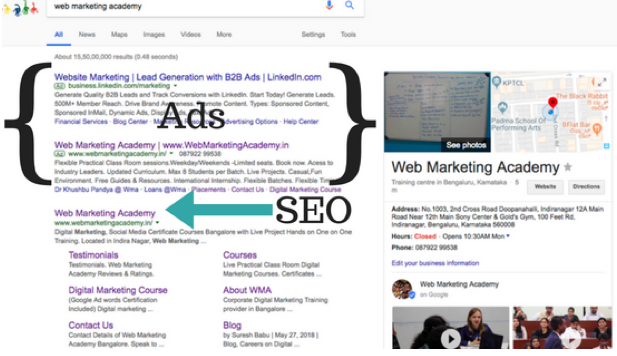 Search Engine Advertising/Marketing: Search advertising aka PPC (pay per click) basically refer to text ads that are showcased on search engine pages. The results appear due to the keywords used by the searcher. Hence, it’s essential to use at least 12–15 important keywords in your ad. In order to advertise on search engine, you will need an Adwords account which is a very easy tool provided by Google. 2. Display Advertising: This is one of the most common type of ads you might have come across while browsing. It could be in a video or image format and is largely based upon user behaviour. For eg — You’re planning a holiday and want to book tickets on Make My Trip/ website. However, for some reason you didn’t make the purchase and close the website. The next time you login to any website such as Facebook/Youtube the exact same product/service will be flashed on your screen. 1. Cost Effective: Digital marketing is economical and most effective way to promote your business as compared to traditional marketing. With limited budget you can create content & start your campaign. It is you who decides the budget which can even start from something as low as Rs.50/- depending on your business. 3. PPC– PPC stands for Pay Per Click. 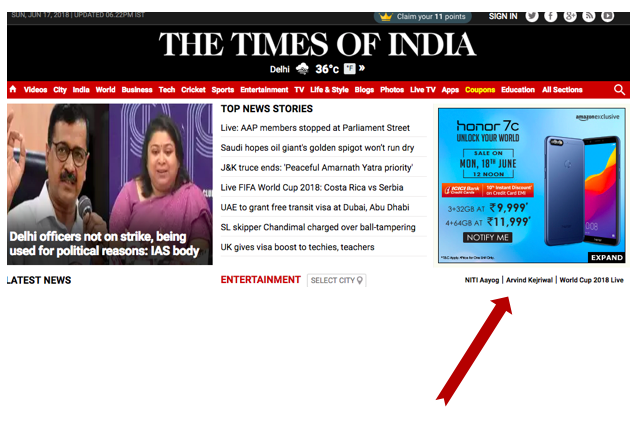 It is a model where the advertiser pays the publisher each time their ad is clicked. Google Ads is the best and easiest platform for PPC. 4. Targeting — In case of traditional marketing there is no way to determine the number and the type of people who saw your billboard. With digital marketing it is not easy to target audience based on their interest, location, behaviour etc. You can create an audience based on your business model and push your ad to the right consumers. 6. Conversion rates: It’s much simpler to get conversion online as the customer views the ad & takes action. 7. Easy Interface: Setting up ad accounts, building a website, managing social media have become straightforward and clear-cut with easy user interface. 1. Privacy/security — Privacy is one of the biggest concern when it comes to Digital channels. When you click on a product on an ecommerce website, you see the same product following you in most of the website/social media channels (remarketing/retargeting) This is done through cookies. As an Internet user, being aware of how this is targeted will help a user. Social media is the biggest aspect of Digital Marketing. Most of us have some footprint on social media platforms. It allows us connect with like minded individuals/groups, share ideas and build professional network. On a business level websites like Facebook & Instagram help to engage with the real time customer, provide valuable information and reach out to a huge audience at minimal costs. 1. Free Business page/channel — Creating a business page on Facebook, Instagram, Twitter is not only easy but its absolutely “FREE”! 3. Social Media Advertisement — SEA is a straightforward and effortless way to target a wide audience, increase profitability & reach business goals. 4. Influencers Endorsement — Influencer marketing has gained a huge momentum due to digital channels. It has become a career path for many through endorsements and reviews. 8. Brand Building — It is a known fact that brand building or brand reputation is a long-term process. While digital marketing gives you a push to create brand awareness, you must acknowledge that brand building with yield results with effort and continuation. So you might go viral in a day but how you sustain & use technology in the right way is the game changer for success. 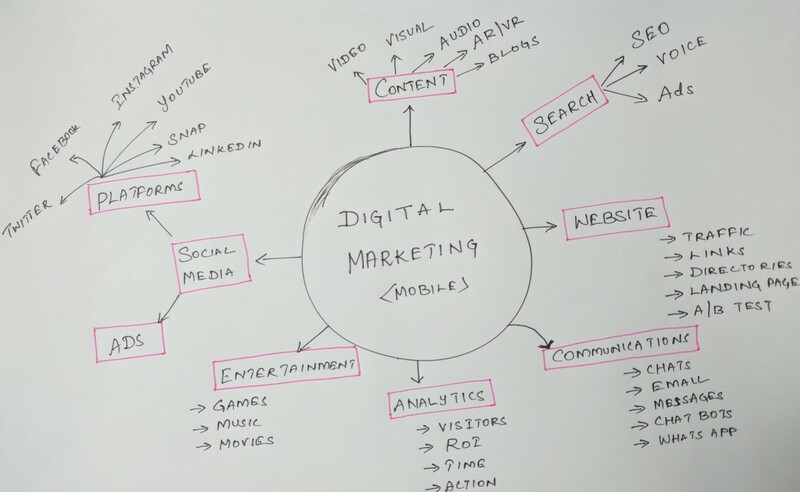 What is not digital marketing? 1. Multi Level Marketing — Digital marketing is not multi level marketing. It certainly provides a medium to build brand reputation through social media but it is not a good practice to indulge into MLM. 2. Quick rich schemes — Most often people think they can can quick money online with the help of affiliate marketing. However, the challenge is building traffic takes time & only happens with your creativity to provide valuable content. 3. Junk mail/Spam — Never indulge in purchasing data and more so never send junk email to hundreds of unknown database. That’s spamming and invasion of privacy. Eventually you will lose business and reputation. Who can do Digital Marketing? — You can! No matter what industry you belong to you can do digital marketing! Anyone and all of the above can learn and grow with digital marketing. Digital marketing is dynamic and updated every day. The future of digital marketing has a lot to do with Artificial Intelligence, automation and technical expertise. Should you be worried? What does this mean ? We will be seeing more competition, reduction the price which will help entrepreneurs, small businesses use it to its advantages. 6. I can start my own business — Yes, but just like any other business it takes time to build your business online too. 7. Can work from home — Sure, you have to hustle to get to where you want to be. How Digital marketing is done? Resources to learn: Watch the keynote to learn about Google’s latest ads. We are living in a mobile first to mobile only world, where people expect your websites to load faster and they want information whenever and wherever they are. Resources to learn: AMP on Google | Google DevelopersVoice assistants like Alexa, Google Home, Cortana. Personalised Searches will dominate as our mobile, assistance are all integrated with our personal devices. Every experience to be tailored just for them. Mobile has changed everything. We live in a world with a lot of choices, brands, and a hundred other career choice. When we’re deciding on our own career it is an important decision — like which career to pursue, or training institute to choose — it’s natural that we’d not only consult friends and family, but also do an in depth research online. These are big decisions, after all. 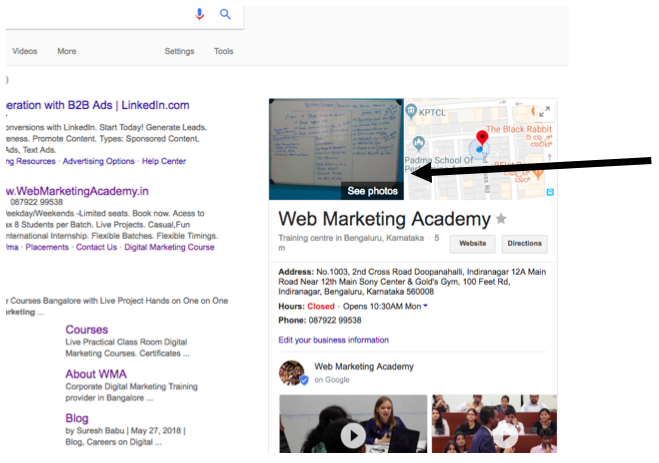 How do go about finding the right Digital Marketing Institute?